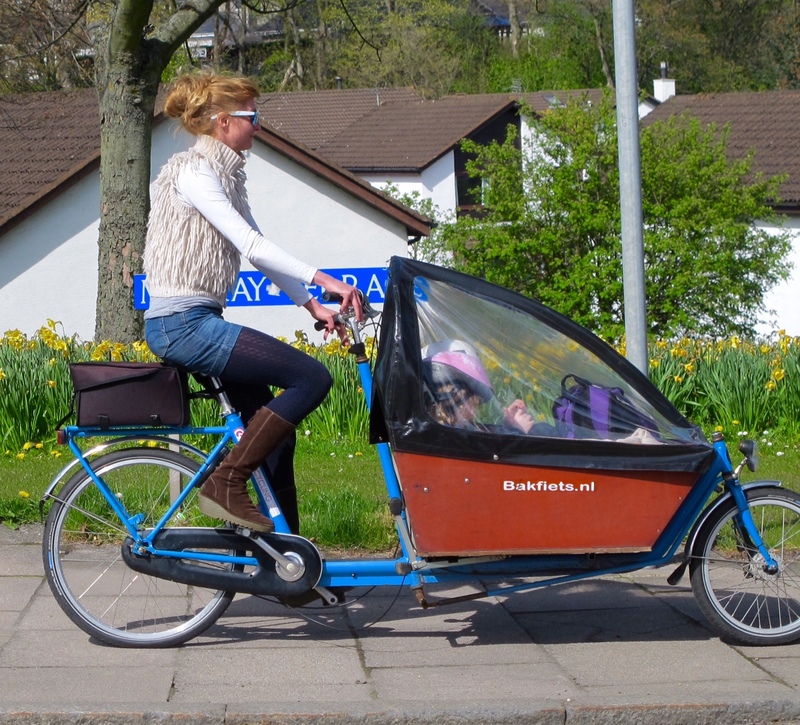 Posted in Journal and tagged bakfiets, cargo bikes, cars versus bikes, cycling, photos. Bookmark the permalink. You all look very cool and that includes Busby! Love the video. I was in London two weeks ago and made photos of cyclists fighting for space against cars. I was in a red bus and could have a nice view of them. Quite shocking because it is really unsafe. I wouldn’t cycle there. Its like a jungle. Cycling in London traffic must be stressful. I hope it changes. Thanks for all the pics! I hope so too as many die every single day. You’re most welcome. It was a pleasure to hunt and find different types. So thank you! Thanks for stopping by! They’re great bikes and fun to ride. That’s a cool photo of your and your Busby! Great style and cause. This one belongs in a yummy mummy article- this is not in anyway objectifying you or demeaning who you are- It shows how to get around economically, healthily for you, your family and the environment! Freewheeling rules! Thanks, Sarah. I’d be very happy to appear in a yummy mummy article. That would be a compliment!